Today we dedicate this space to ni neu, a fantastic restaurant located at the mouth of the river Urumea. 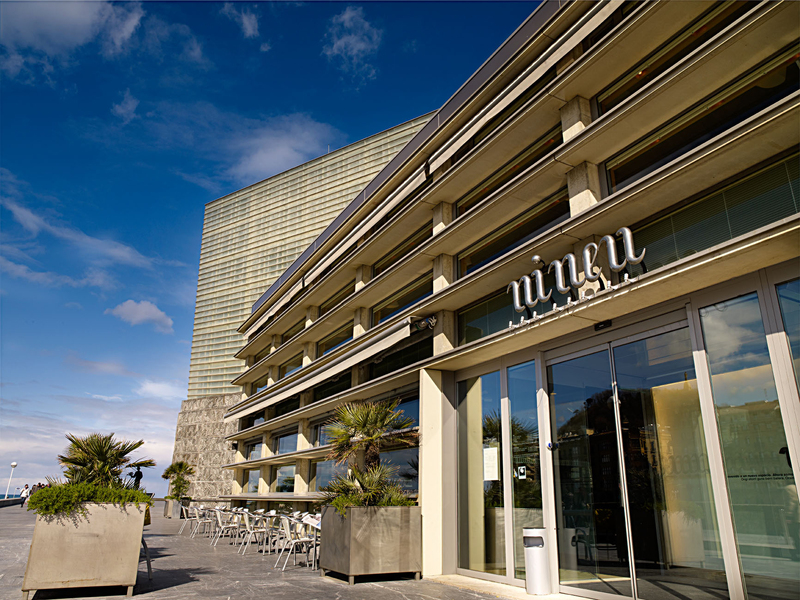 Exceptional views and cutting-edge cuisine in San Sebastian, what else could you ask for? 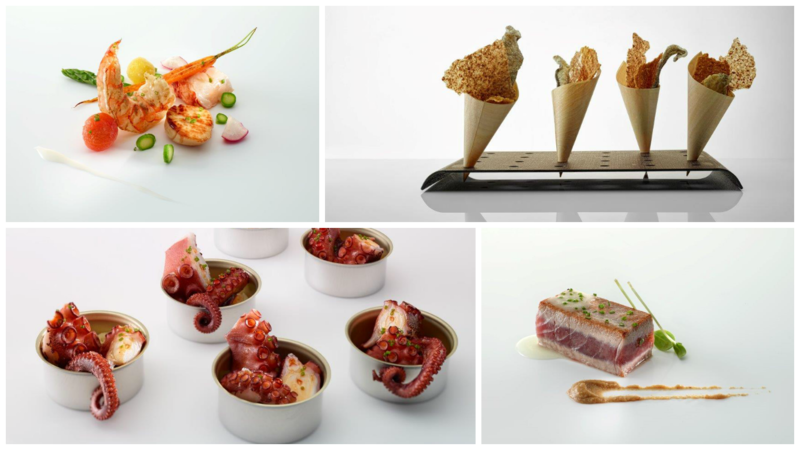 ni neu is a restaurant that offers elaborate and avant-garde cuisine, based on quality products and always with a Basque touch, which aims to bring high cuisine to society. 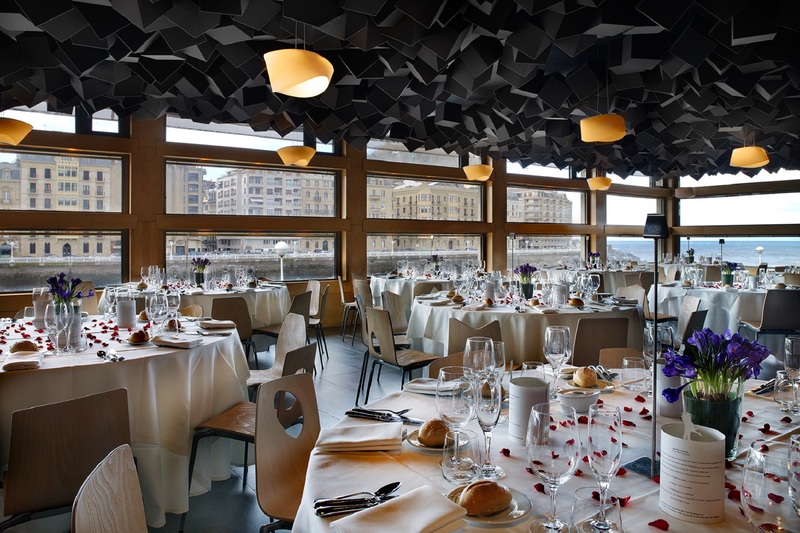 It belongs to Grupo IXO, a business group which also includes important restaurants in our region such as Mugaritz in Errenteria, Bodegón Alejandro in San Sebastián, and Nerua and Bistró Guggenheim in Bilbao. The main objective of all of them is to create culture through the gastronomy from a restless, nonconformist and idealistic spirit. But let’s locate ni neu with a little bit of history. The casino Gran Kursaal was inaugurated the 15th of August of 1921. Three years later, during the Dictatorship of Primo de Rivera, was decreed the prohibition of the game and the casino closed its doors. In 1972 it was agreed his demolition. In 1990 it was decided to equip the city with an Auditorium and Congress Hall, choosing the proposal of the internationally renowned architect Rafael Moneo, for the openness, courage and originality of his project. Since then the Kursaal has become a key and emblematic space of the culture of the city, hosting the San Sebastian International Film Festival, the Jazz Festival, the Gastronomy Congress or the Musical Fortnight, all of them great events with prestige and international projection. In this context, ni neu stands out as the place in charge of the restoration in all this type of celebrations, congresses, conventions, fairs, concerts or spectacles. And specifically, Mikel Gallo, the chef. At the age of 14 years, he decided he wanted to be a cook. After a few years at the Guggenheim Bilbao, Mikel joined to Kursaal kitchens in 2000, developing a career that has put to ni neu as one of the gastronomic referents of the city. 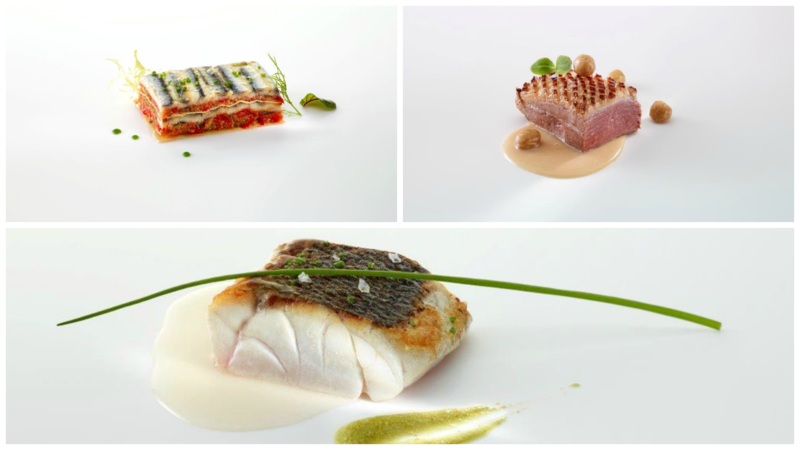 And this is because eating at ni neu is a gastronomic experience, because it offers a perfect balance between the wisdom of Basque cuisine and the techniques and innovation of haute cuisine. An experience that they also lead to familiar celebrations and weddings. All starts with a welcome cocktail on the terrace, a very special moment for which ni neu proposes different and very original dishes: prawns in tempura, tartar of tuna with gazpacho cream, battered cod kokotxas or grilled seasonal vegetables accompanied by a good txakoli from Getaria or a kupela of cider. 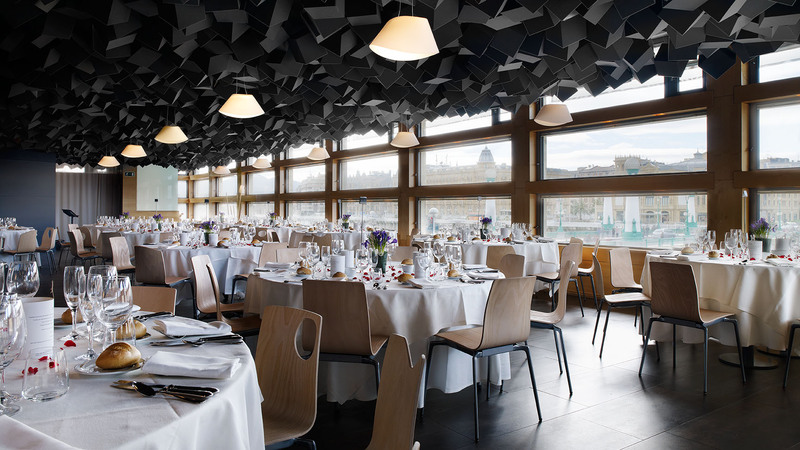 Then comes the menu, served on the top floor of the restaurant, overlooking the sea and the Kursaal bridge, the Victoria Eugenia Theater and the Hotel Maria Cristina. Here you can taste anchovy lasagna, little tomatoes stuffed with chipirón, baked sea bass, sirloin roasted on sarmientos… and of course, the star dessert of the house: caramelized torrija. As a curiosity, Julia Roberts could not resist asking for the recipe after trying it when she came to collect the Donostia Prize in 2010. But these are just ideas. Both the menu and the rest of services are personalized for each wedding. In addition, ni neu collaborates with different suppliers facilitating their contact to the couples so that each celebration was unique, from the ceremony to the post-wedding. 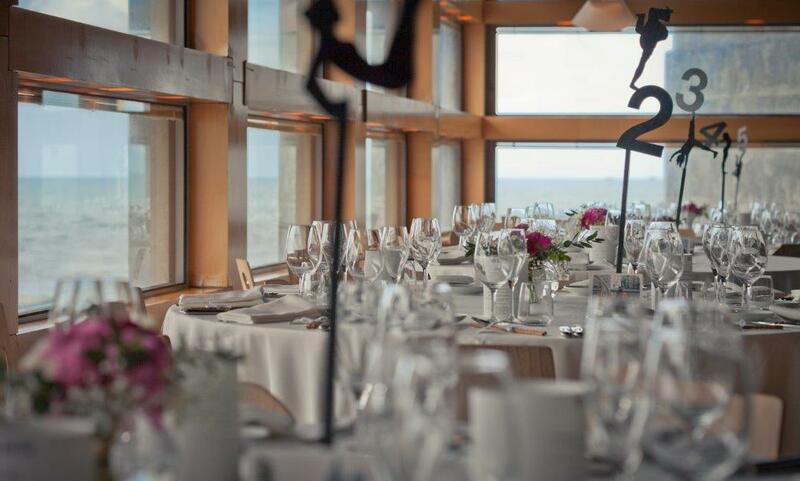 Gastronomy of quality, plenty of experience and an unbeatable location overlooking the river and the Cantabrian Sea, are values highlighted by couples who decide to celebrate their wedding here. You can see more at: www.restaurantenineu.com.